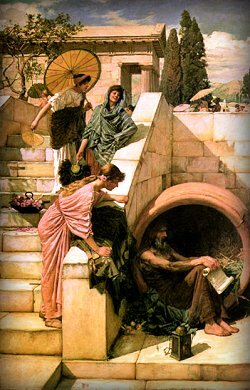 In His Heart, Diogenes was an Optimist! How do we weave wise "creative cynicism"
into our Work? Our Hearts? Our very Life? Practice the WIN:WIN ShowBiz Lifestyle! out 'to find an Honest Man'. Yes, acting cynical is Fun. What if You know Her? What if She is You?